Lin, here is the second of the five that you had suggested. The locale is the same Ahmedabad mentioned yesterday but the adventure is a rather peculiar one that can only happen in India and that too only in Gujarat. Although this story goes back to the eighties of the last century, the prohibition remains in force there. “I had assured my readers yesterday, that I would share another story from Ahmedabad with them and here it is. Ahmedabad is the commercial capital of Gujarat, the only state in India with total prohibition of alcohol consumption. There are cumbersome procedures to get a permit from the Excise department to consume alcohol for medicinal purposes, but that is another story. For visitors from other states without prohibition, there is a facility in most hotels to procure temporary permits to purchase alcohol within the hotel’s premises. On one of my trips to Ahmedabad, I had obtained such a permit and also purchased a pint of whiskey. Unfortunately for me, during my stay during that trip, I did not have the time or occasion to consume the whiskey and the unopened bottle remained in my overnighter. On my departure from Ahmedabad airport, I had the overnighter as a carry on baggage and was asked to open it for inspection by the Airport Security Detail of the Gujarat Police stationed there. When the bottle of whiskey was found the policeman took me aside and took me to the senior officer in another room. I explained that I had a valid permit, showed it to him and said that I could not consume the whiskey and was taking it back with me to Bombay. The Inspector accepted that I was not doing anything illegal but said that I could not take the bottle with me. I said that I could not very well drink it there and still make the flight. After much hemming and hawing and looking up the rule book he pleaded his helplessness, but suggested that I check in the overnighter with the whiskey inside to solve the problem of the rules. Checked in luggage were not subject to x-ray inspection those days. I had to go back outside the security area, re-check in, explain to the airline staff the problem and check in the luggage and finally made it to the flight. Incidentally, much to the disgust of most of my family’s men and almost all friends, I quit and have not taken any alcoholic beverages since late May 1999. So, no more similar adventures! This entry was posted in Blogging and tagged Ahmedabad, Gujarat, Prohibition. Bookmark the permalink. 12 Responses to Travel Series II. Do not talk to me about check-in, airlines and their rules and regulations.Rarely in my life have I lost the plot (in public) as comprehensively as I did about six or seven years ago. And we’re not talking liquor, we are talking real bomb making material like lotions, potions and shampoo. They confiscated the lot. Probably about £150 worth of it. All bottles unopened. I pleaded with them to either keep the lot for me till my return or – at least – give it to their wives. Nope. Bin. I can say – and I am not proud of it – I threw a tantrum that’d challenge any three year old. Even worse: They rather argued the toss holding the plane for me (and my two poor poor bystanders, my son and one of my nephews). It got even better on the return flight: Boiling hot day. We were not allowed to take some innocent small bottles of Evian water past check in. Never mind. We are clearly all potential terrorists, dumb enough to carry innocuous materials for nefarious purposes. I think that it is the look that sends them into orbit Ursula. Something about us must trigger some primitive instinct in them to take us on! We refuse to travel by plane now because of all the regulations. It’s been about 13 years now since we’ve been on one, and that was to visit a dying relative back East. If I had normal hip joints, I would use the Indian Railways for all my travel! An airport inspector some years ago, obviously unfamiliar with golf and my abilities on the links, ruled my putter a “potential dangerous weapon” and demanded I box it up and check it through as luggage. I complied, and noticed no effect on my usual mediocre game. A putter as a weapon of mass destruction! He must have been playing a sub par game himself Gabbygeezer! i was thinking this would end with the OFFENDING bottle breaking and anointing all your clothes! i’m so glad that didn’t happen. our state still has completely dry counties within it. there are hardly any now. but still a few. there used to be many of them. and they were always difficult for people from other states in the u.s. or other countries to understand. it irritated a LOT of people. it almost felt like a scam. finally. it was voted down most everywhere and now it operates like the rest of the country. you can order wine or a drink with your dinner most anywhere in our state now. times change. such rules are silly really. if they’re going to drink any form of alcohol they will find it and do it. it just made us look backward and irritating. 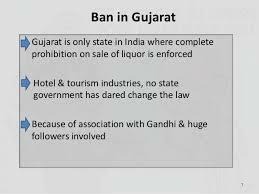 No liquor in Gujarat because of association with Gandhi and his followers? This is what I call keep his influence alive. Your check-in experience reminds me of so many experiences of my own in Africa. Now I can laugh at them but I assure you back then I felt like killing somebody lol. Max Coutinho recently posted..Will this effort be the Charm for Equatorial Guinea? Quite right. In retrospect one can enjoy the memory treating it as being funny while when it actually happened, it was different. I am with Tammy. I felt sure it would have broken in transit. We once had that happen with a bottle of Tequila purchased in Mexico. Sweet smelling clothing and no Margaritas for us!